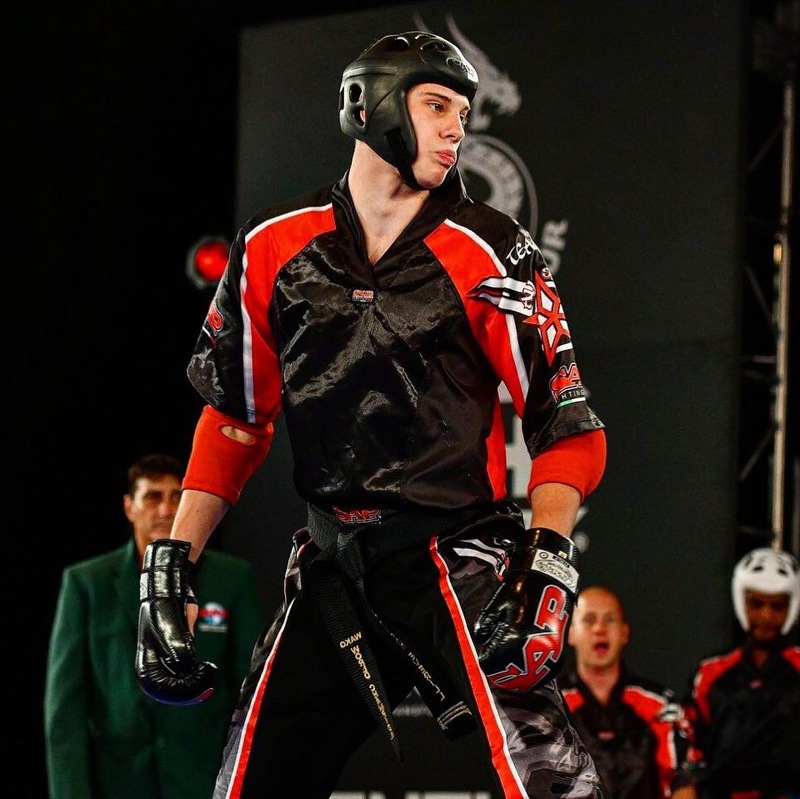 This is a new feature on the Wolfpack blog where we catch up with world class fighters and get their insight into the competitive world of kickboxing. Our first fighter features Elijah Everill, who is arguably Great Britain’s most in form fighter, and also a keen friend of Wolfpack. EE: “I currently have 11 WAKO world titles and 5 WAKO European titles in a mix of Cadet, Junior and Senior categories across all styles: points, light contact, kick light and team events. I’ve also won every other major WAKO tournament numerous times over. This is something that I’m really proud of. However there are certain moments in my career so far that stand out to me and are the most meaningful due to the circumstances. The first one would be when I won the Senior Irish Open -57 light contact division, I was 14 years old fighting against grown men and also a weight category below (-52kg as I was an old cadet) I even got the chance to fight on the night of champions show in the ring, it gave me such a buzz and I’ll never forget the feeling when I won, it was a back and fourth war which to this day is probably one of my favourite fights that I’ve ever had. Another one was when I won the European championships in Spain 2015. I was fighting 3 categories that week, point fighting, light contact and kick light and within my first fight of the championships, I broke my ankle. The next day, it was black and blue and I was struggling to walk never mind, fight. But anyway, I continued throughout the competition and fought on another 11 times before winning a gold medal, definitely a rollercoaster of a week, believe me, but I’m very proud of myself due to the mental toughness and heart that I showed during the event to push through the pain and keep fighting on. Thank you Elijah! It was great catching up with you and to get such a great insight into your world. We look forward to your visit and always know our students will benefit from your knowledge. In late 2018 we, Wolfpack Martial Arts, decided to throw our doors open and restructure how we run our tournament fight team. 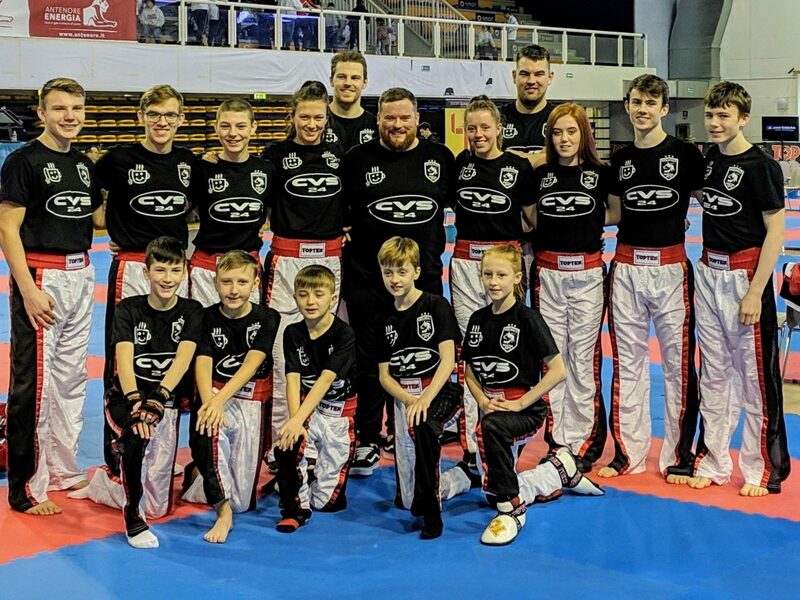 This was due to the fact that so many external fighters were attending our open squad trainings to improve their level of kickboxing, that it simply felt like the next logical step was to offer support and coaching outside our own four walls. We closed our squad trainings to Wolfpack members only – the idea behind this was to be able to spend more focussed, dedicated time with those that are similarly dedicated to us, our values and principles. Our new team structure allows fighters to tap into our sponsorship pathways, no matter what level or ability they have. There is something for everyone! This is all down to the large influence of our new main sponsor CVS 24 Recovery. They specialise in all areas of car and commercial vehicle repair, and recovery. They offer breakdown, recovery and roadside assistance for Edinburgh, Livingston, Fife, Broxburn, Newbridge M8 and Glasgow. So, if you’re in the area and need a hand, you know who to call! Out of this, we plan to expand the opportunities and benefits for our team to rival any other sponsorship deal in the UK. In January this year alone, we have spent over £3000 kitting the team out in a brand new Top Ten custom fight suit, new t-shirts and paid for team events at our first international event of the year the WAKO Golden Glove, held in Italy. The Wolfpack team has already shown amazing success; coming 7th out of 125 teams at this event with an impressive medal count and some stellar performances, and there’s no doubt that this success will continue throughout 2019. Through training together every Saturday morning the team has bonded together quicker than we could have hoped and with 20 fighters competing at the WAKO British next weekend, we are sure these friendships and bonds will build even more. We are proud of the way that our team has cheered on and supported each other – not only in the arena, but also behind the scenes. For now? Our team is in place, only going from strength to strength! However, due to the volume of enquiries, we will open the doors once again later in the year to increase the strength of the pack. This exciting new feature will be a regular occurrence on our blog where we will highlight one member every month, and discuss specific elements of their training here at Wolfpack. 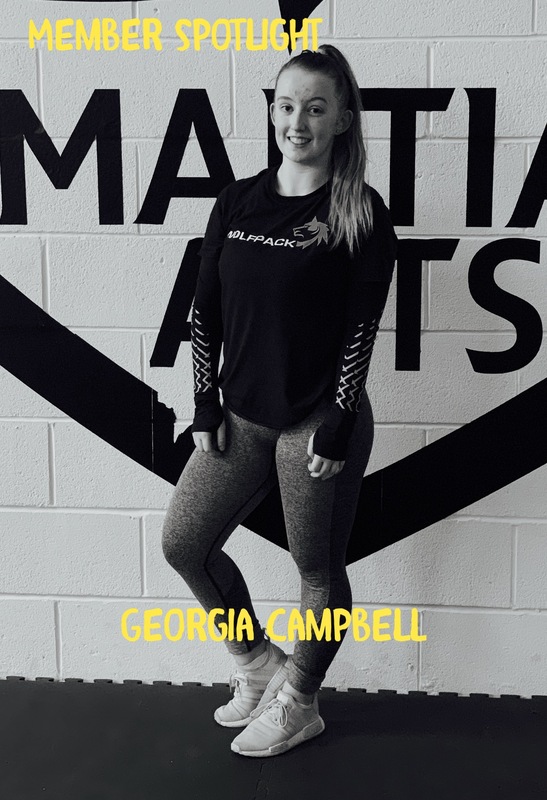 Recently, we spoke to Georgia and found out a little more about her training and specifically some of the classes she attends. Thanks for sharing your thoughts Georgia and we look forward to seeing you grow over the next year! Natasha to hit the states hard !